Offer free calendar examples and templates, allowing for creating customized calendars to track your schedule, appointments, meetings, birthdays, vacations, and special events. Marking your own calendar can be a fantastic thing if one always finds it difficult to remember all the things that must be completed in any given day. With Edraw Max calendar maker, all the templates can be easily customized, just download and add your schedule, mark the events, and customize the appearance with a few clicks. Abundant built-in calendar symbols help enrich your calendar and make it unique and attractive. 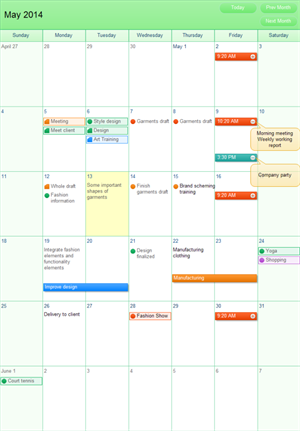 It is sometimes easier to modify an existing calendar plan than to draw a new one. You can save many hours by starting from a ready made template. 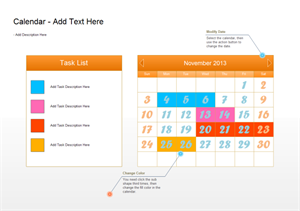 Download and edit the calendar plan template for your own use. 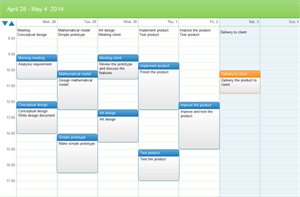 A weekly task schedule calendar example is available in vector format, which is understandable at a glance. Use it to manage your time. Plan your daily schedule using this customizable calendar plan template. 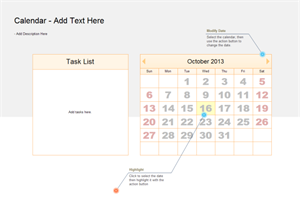 Plan and organize your life better with Edraw calendar maker. You can download and edit this template for your own use. Your working schedule can be clearly marked on this monthly schedule calendar, which helps manage your time and plan better. 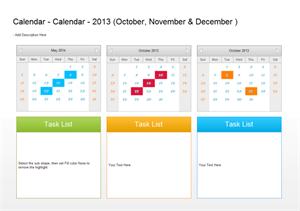 An eye-catching calendar template made by Edraw is presented here and available in use. 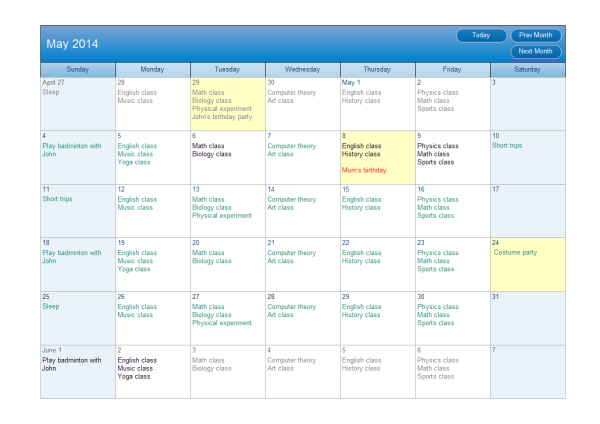 Discover why Edraw is an excellent program to create calendar plan. Try Edraw FREE.